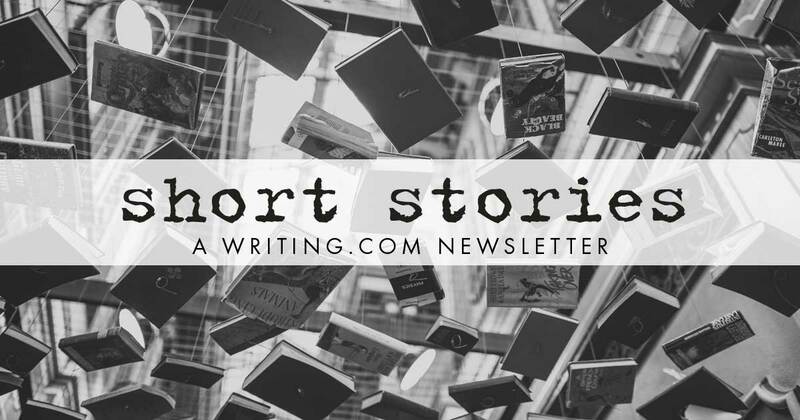 Welcome to this week's edition of the Writing.Com Short Stories Newsletter; and our exploration in writing complete, though brief tales of mystery, humor, adventure, and more . Greetings, thank you for allowing me this brief intrusion into your virtual home. Just as novels come in a variety of sizes, some to fit a pocket or purse, others only a briefcase will hold; so too the short story comes in a variety of ‘sizes.’ Nope, no ‘one size fits most,’ here. And although short stories are available in a gamut of sizes, genres, voices, and points of view, they do belong to the same ‘family’ as their ‘big brother/sister’ novels. Flash fiction can be drafted in a creative breath, then refined, reworded, sometimes all in a day. A short story anywhere from 30 words to about 3000 is considered flash fiction. And even tighter, a complete story of 10-300 words has been dubbed micro-fiction. But these are not merely a scene, or expository. Flash fiction and micro-fiction have all the elements of a novel: beginning, middle and end, in brief. You find them in any genre - mystery, adventure, horror, comedy...that inspires the Muse Creative to write. Since they are short an shorter in length, each word has to count, to move the story forward. As I write short, I find myself speaking the words aloud, seeing, smelling, touching the action as it unfolds, word by word as I write. All of these dribbles and drabbles and their derivatives have one thing in common – each is a complete story, plotted and driven from beginning to end by the writer’s insightful choice of words. So, why not give it a try ~ and ‘drabble’ in vivid imagery to create a story though brief in length, replete in breadth, and a delight to read aloud And do read a few of the drabbles and dribbles and flash offered for your reading pleasure by some of the writers in our Community. Music Drabble (100-word short story) based on Jackson C. Frank's "Blues Run the Game"
Entry for Dialogue 500 content. Prompt: Two very hungry people stranded on an island. We keep making songs, we keep writing our status. Dialogue only CRAMP entry. #2178626 by Thankful Sonali 12 WDC years! Richard tried to teach the pig to sing. The pig had other plans. Generated in 1.24 seconds at 12:47am on Apr 24, 2019 via server S30.